The tastefully done up villa in the up-market residential area of Indiranagar in Bengaluru, which houses The Titan Company's newly launched sari brand, Taniera, is bound to excite sari connoisseurs. Apart from Kanjeevarams, Benarasis and Ikats, the 6,000 sq. ft-store also has Moirang Phi from Manipur, tie and dye Kotas from Rajasthan and mekhla chador from Assam. Bhaskar Bhat, MD, Titan, is hoping to make Taniera, an outcome of its internal accelerator programme in 2015, as successful as the jewellery business. "Tata played a big role in building Tanishq and will now play that role for Taniera as well. In two or three years, our goal would be to establish a footprint and make Taniera the most sought after and desirable Indian ethnic wear brand for the Indian woman." The unorganised nature of the business is what excites Bhat the most: "Just as the jewellery business lacked transparency when we entered the business, there is hardly any price transparency in silk saris too." Bhat and his team are all set to convert a highly unorganised business into branded play. Bhat has set an ambition of Titan becoming a Rs 52,000 crore-revenue company by 2023 (current revenue is Rs 15,656 crore) and reach 50 million consumers. He expects the jewellery business, which contributes 80 per cent to the overall revenue, to grow 2.5 times and reach five million consumers. In 2017/18, the company saw 20.75 per cent growth in revenue after years of low growth, and its net profit soared 70.86 per cent. The watch business, which had been posting low single-digit growth for a while, reported its highest ever profits in the last fiscal. Titan's market cap grew from Rs 41,082 crore in 2016/17 to Rs 83,656 crore in 2017/18, making it the third most valuable Tata company after TCS and Tata Motors. Changes such as demonetisation and GST helped. "Formalisation of the economy has helped Titan, especially Tanishq, in a big way. Most traditional jewellers are not transparent and have been losing business. Tanishq has gained at their expense," says Abneesh Roy, Senior Vice-President (Research), Edelweiss Capital. The other trigger has been scams such as that of luxury jeweller Nirav Modi and owner of Gitanjali Diamonds, Mehul Choksi. "Nirav Modi-like cases is the nature of the jewellery industry. You will see many more such stories unravel in the next few years," says Bhat. But to achieve its ambitious growth target, Titan has no choice but to piggyback on Tanishq, as most of its other businesses are either niche or too unorganised. "Sari is clever strategy, but scaling up would be tough. The challenge would be to give enough reasons to a customer not to go to traditional sari sellers such as Nalli and come to them and pay a premium," says Raghu Vishwanath, MD of brand valuation company, Vertebrand. In fact, N Chandramouli, CEO of brand audit agency, TRA, feels that Skinn, Titan's perfume brand, is a mere try and doesn't fit into Titan's strategy of creating brands out of traditional categories. Even watches, Titan's very first business, has been losing out to tech companies such as Apple and Samsung. Apple sold 80 million smart watches last year, compared to Titan's 15 million. Titan has a 50 per cent market share in watches, but will that grow? Bhat admits that Titan watches lost attractiveness. "We got preoccupied with delivering profits rather than keeping the innovation engine alive. We lagged in smart watches. The competitive scenario changed, and international brands came, bringing international designs," says Bhat. Titan has now changed its gameplan. "Manufacturing analog watches was our forte, but we realised that consumers wanted good-looking smartwatches. We made hybrid smartwatches, which were fully touch screen. We partnered with Intel for this. Similarly, we noticed that the youth had started wearing activity bands, mostly cheap Chinese bands. So, we launched Fastrack Reflex activity bands. On the back of Reflex, Fastrack became the fastest growing brand," says S. Ravi Kant, CEO, Watch Division. The company also launched smart watches for women. Mid-segment watch brands have been the biggest losers even globally and Titan is no exception. Luxury watch brand sales are on the rise, but despite having brands such as Xylys and Nebula and having acquired Swiss watch brand Favre Leuba, Titan has not really been able to reap the benefits. However, it has acquired licenses to market global fashion brands (again, a weak area of Titan, but a growing category) such as Tommy Hilfiger, Coach, and Police in India. It has also expanded its multibrand retail store Helios, which has helped the company retain its over 50 per cent market share in the Rs 7,500-crore watch market. It has also scaled up its online presence, which now contributes around 15 per cent of its watch sales. 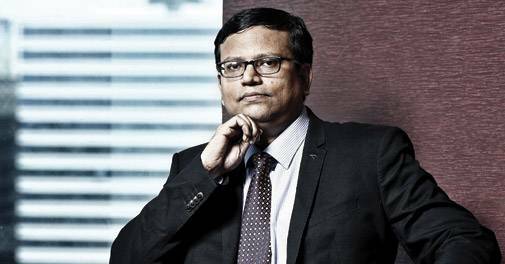 Though the company plans to launch 10 more smartwatch variants this fiscal, Vishwanath of Vertebrand says, "They need to be more aggressive, but it's difficult to make an elephant dance." Titan has to work harder to get rid of the functional time-keeping image it has, says Bijou Kurien, Strategy Board Member, L. Catterton Asia Holdings. "A large part of their business is still functional time-keeping. That's where they need to shake up," says Kurien. The Titan Company's journey towards the Rs 52,000 revenue target will involve dealing with its watch business as well as scaling up niche businesses such as fragrances, saris and eyewear. A business such as fragrance offers margins as high as 75 per cent but also faces consumer preference for global brands at the higher end. At the lower end, the challenge is to get consumers to use fragrances. "Perfumes are not everyday wear in India," says Vishwanath of Vertebrand. Titan has to invest time and money to create the category. "Fragrances won't be a two crore-brand in the next few years, but it will complement the brand and add to the bottom line," says Kurien of L. Catterton. Bhat hopes to replicate the success story that personal care companies have created in deodorants, which has become an over Rs 10,000 crore-category in a span of four to five years. "People who are using deodorants would like to upgrade to fragrances. It is going to bring us less money... but a lot of people. At Rs 545 you can buy great quality 20 ml Skinn Wire (perfume)," says Bhat. While Titan may want to evolve into a lifestyle company with segments such as saris and fragrances, it will be jewellery dependent for a while. Bhat agrees that none of the new businesses would be anywhere close to his jewellery business in terms of scale. "That doesn't mean we won't explore. We sell jewellery to two million customers; it may go to five million. We sell watches to 16 million customers and that can go up to 25 million. So, customer ownership is a big journey towards sustainability of a company. Why do the likes of Colgate Palmolive and HUL chase so many consumers, almost 300-400 million Indians? With that kind of a base, you get people to buy something from your company every day." Bhat expects the new businesses (saris, eyewear and fragrances) to be close to Rs 4,000 crore by 2023, while watches would be around Rs 7,500 crore. The largest chunk of Rs 40,000 crore would come from Tanishq. "The contribution from new businesses won't be a small number. If we can get a 10-15 per cent PBT (profit before tax) margin on that, it's still profit. 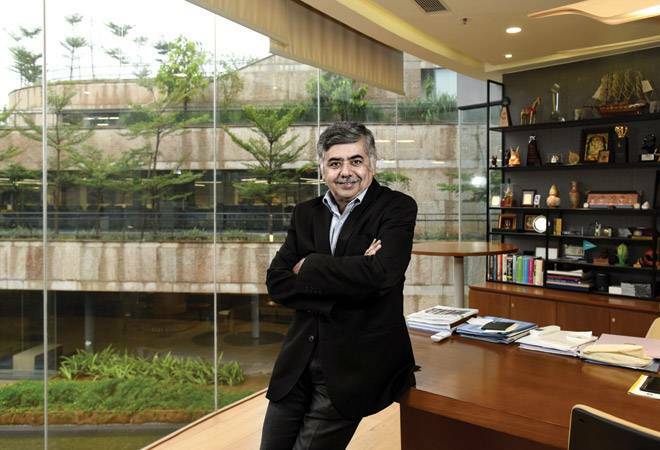 We have to keep looking at how the profit pool will grow," says Bhat. The sari market in India, according to Titan's senior management, is worth Rs 25,000 crore, but very unorganised. Branded play is largely regional - while brands such as Nalli, Kumaran Silks and RMKV are popular in the south, brands such as Meena Bazaar rule in the north, and west has chains such as Paaneri. Barring Nalli, none of these chains have a national presence. E-tailers such as Amazon and specialised portals such as Weaver Story and Parisera are emerging, but the bulk of the sari selling happens in mom and pop stores and neighbourhood boutiques. There lies the biggest challenge for Taniera. Titan will probably use the same template as Tanishq for Taniera too. But jewellery is bought as an investment in India, so talk of transparency, purity, authenticity and trust holds value. The same may not apply to saris. Nalli, for instance, takes advantage of its economies of scale and offers the lowest mark-up, while Taniera is not about lowest prices but showcasing saris from across the country. So, will the average Indian consumer walk into Taniera just because it offers saris from across the country? Maybe, maybe not. Taniera is working with over 50 clusters of weaving and handcraft to source its saris. "We work with master weavers, aggregators, wholesalers, distributors and weaving cooperatives. We are in touch with the National Handloom Development Corporation and with the Ministry of Textiles' 22 weaver service centres," says Ajoy Chawla, Senior Vice-President (head of the new businesses), Titan. The intent is to vouch for the authenticity of the fabric and the craft. "We will not pass off a Kumbakonam sari as a kanjeevram. We are also trying to build an architecture around the authenticity of the sari," says Chawla. V.R. Srinivasan, CEO of Bangalore-based Chamundi Silks, hopes the entry of Taniera will institutionalise the age-old business of saris. "When Taniera will hallmark saris, it will be good for the industry. But a retailer like Nalli or Kumaran understands, for instance, what kind of border will work in which locality or region and they source their saris accordingly. It will take time for Taniera to understand those nuances," he says. There is a lot that Taniera will have to learn but the margins in the sari business - said to be 25-50 per cent - are high, says Srinivasan, adding "some of the leading chains earn revenue to the tune of Rs 5 crore per day." If margins are that high, what stops the sari business owners from scaling up? 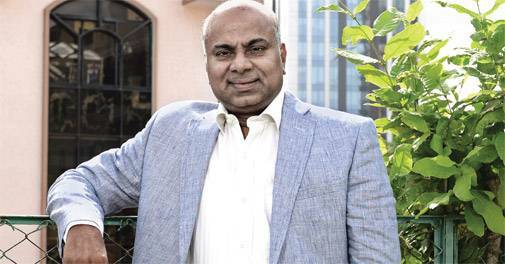 "Most of them are family-run businesses and don't know how to scale up," says Srinivasan. Another factor is lack of understanding of sari draping tastes across the country, a challenge that Taniera too will face. Puneet Chawla, Co-Founder of e-commerce platform, Jaypore (which deals with ethic wear, saris and jewellery), says that though saris form almost 10 per cent of their revenue, scaling up is an issue. "The margins in saris may be high but it is a working capital intensive business. One has to pay the weavers in advance, and unlike most businesses, you won't get credit; you can't make the payment in 30 days. A company like Titan, which has deep pockets, would be in a better position to scale up nationally." Both Bhat and Chawla are aware that scale for Taniera is a while away. The company at present has two stores in Bengaluru, one small format store in Delhi where another large one is to open in December. "We are doing this not to get to the Rs 50,000 crore target but it will help us reach the Rs 70,000 crore target. It's the next wave of growth," says Chawla. Most lifestyle brands cater to the premium and upper end of the market. But Titan has a different focus. It is aspiring to be the lifestyle option of the masses. "Chasing volumes is what we are best at," remarks Bhat. Most of Titan's businesses, be it watches, jewellery, eyewear, perfumes or even saris, started off in the mass premium space and later digressed into chasing volumes. Skinn, for instance, has the 20 ml Skinn Wire priced at Rs 545. Titan Eyeplus started off as a premium eyewear retail brand but has recently started chasing volumes. "While it is tempting to chase value because the margins are higher, we decided to change to a volume strategy, bring down the prices, introduce products at lower prices and let the premium play come from international brands," says Ronnie Talati, CEO, Eyewear, Titan. The company now manufactures its own lenses and frames, it offers frames for as low as Rs 300 and also distributes to smaller multi-brand retailers. But can a lifestyle company be a mass player? "A lifestyle brand needn't necessarily be premium," says Chandramouli of TRA. Roy of Edelweiss, too, says chasing value in a market like India may not be a great idea as luxury retailing is a good 7-10 years away. "Titan understands the distribution business very well and they should play to that strength," adds Roy. In fact, CK Venkatraman, CEO, Jewellery, Titan, says that despite being a Rs 13,000 crore-business, Tanishq has just 4 per cent market share. "Jewellery itself has plenty of scope to grow. While we have brands such as Zoya at the luxury end, and which would play an important role in the growth of the overall business, our focus would be on the belly of the market." Titan's definition of lifestyle is different from what it is globally, but it makes sense in India. Now the challenge for it is to scale up each of its businesses and make it relevant to the Indian consumer.